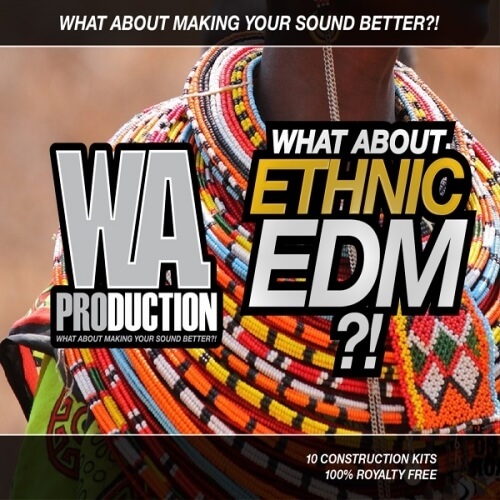 ‘What About: Ethnic EDM‘ is a totally exclusive Construction Kit pack that contains 10 stunning tracks which mix Ethnic music with EDM. This combination becomes hugely famous thanks to the biggest EDM scene names such as Dmitry Vegas & Like Mike, Ummet Ozcan, W&W and many others. Original ethnic instruments samples, all synths, drums and MIDIs are included. All 100% royalty-free. Every signle track has a different body, verses, builds ups and drops to offer you as huge a scale of EDM style bangers as possible.